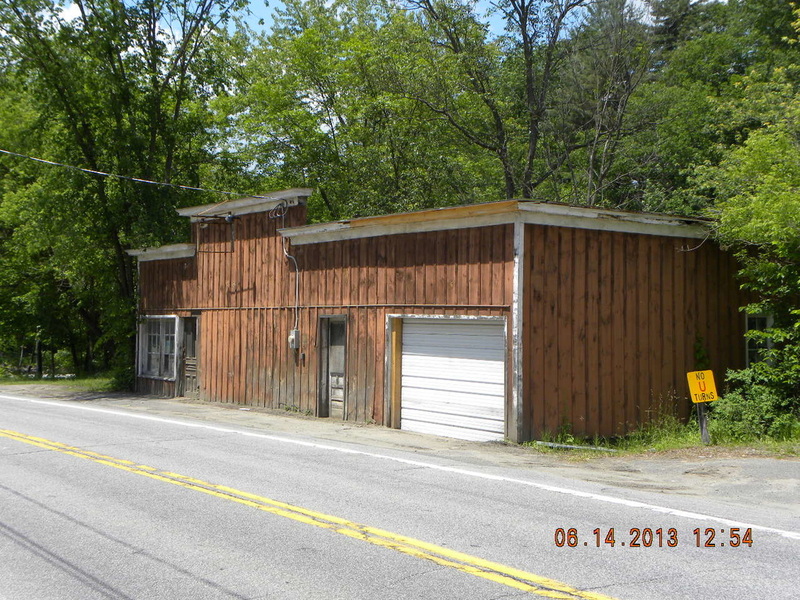 This contributing, c.l920 building was originally used as a plumbing shop and later converted for use as Kenyon’s garage. It retains sufficient integrity of form to continue communicating its historic association with commercial activity. 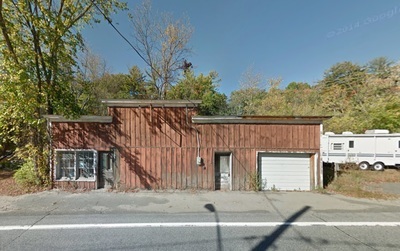 The long, rectangular building features some original door and window placements and detailing in the form of one glazed-over-three panel door and paired, multi­ pane window on the front facade, west end, and a garage door and similar paneled door on the east end. The building features vertical siding and a flat roof with parapet centered on the front facade. Kenyon Auto Sales was located at 79 (140) River Street. A Willys Jeep Dealer, it was in business from around 1941 until 1959 when it was gutted by fire. It was owned by John Kenyon and at the time of the fire, was run by Marshall Burt. 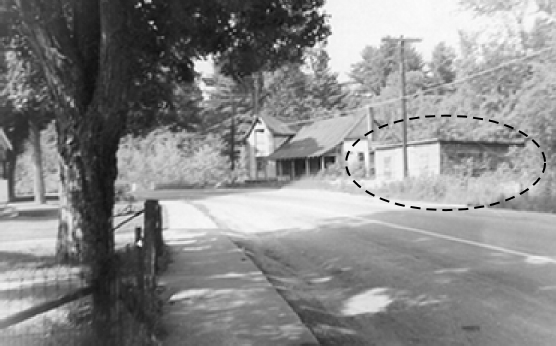 It was later an antique shop called Under the Elms.